Most states, including Georgia, follow a set of standards known as the Uniform Vehicle Code. One of the rules of this code is that drivers must keep right if they are traveling slower than the speed of traffic. If you suffer injuries because a driver failed to follow Georgia’s slow-driving laws, you may be able to sue for damages. Why is slow driving dangerous? Slow drivers tend to impede the flow of traffic and cause other drivers to become distracted or enraged. In addition, slow driving is extremely common among certain categories of dangerous drivers such as drivers who are texting or using cell phones, younger, inexperienced drivers and older drivers with poor reflexes. How does Georgia law regulate slow driving? In 2010, Georgia lawmakers amended the Georgia Code to ban driving a motor vehicle at a speed that impedes the normal flow of traffic — except when the driver needs to reduce speed to respond to a road hazard. In addition, Georgia law bans drivers from driving less than the maximum speed limit in the far left lane if they know or should reasonably know that another driver is trying to overtake them from the rear. The purpose of this law is to prevent slow drivers from impeding the speed of traffic. To establish damages based on a driver’s failure to adhere to Georgia’s slow driving law, you must show that the driver violated the law and that you were harmed due to that violation. For example, if a slow driver in the left lane of a highway is hit from behind, the slow driver may be liable. 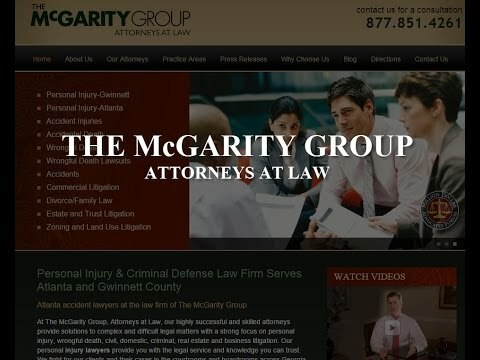 If you are injured in a car crash by a driver whom you believe may have violated Georgia’s slow driving laws, you should contact an experienced Gwinnet and Atlanta-area automobile accident attorney who can help you compile the evidence to support your claims and make a strong and cohesive case for you to collect damages for your harm.